Observation: Ary Scheffer uses the principals of composition to tell a story which I was not not able to discern until I followed the steps and broke down each principal. A request from fellow students and mentors - I have trouble learning rules, definitions, as well as, things like principals. If I may post what I interpreted them as below and have someone just let me know which ones I am understanding and which ones I may need to re-contemplate or look at a different way then I would appreciate that very much. Francescas hair and Paolo's leg play connect the dots with the Finger and Toe rhythm to take you to the next portion of the story. blocks/rectangles do something but I don't know what, perhaps give a reality check portion of the story? Unity – Because of the principalsused and title of the piece I have come to a conclusion as to whatthis painting is about, whether correct or not, this is what Igathered. Francesca is content and happy with Paolo because of hersoft facial expression and slow soft wavy curves, Paolo however, isstressed or torn by something with the relationship because he has aloving grasp on Francescas arm foiled by covering his face which arecreating sharp lines around his head/face in draperies and the angleshe creates with his arms. The gent on the farthest right has judgedthe two with his harsh facial expressions, solid vertical lines, anddownward looking angle of his face. The fellow furthest back howeverdoes not seem to have created a judgment, is just as logical as thedouchy judging guy, and is simply observing because of his verticallines, the way his head is not simply downward but tilted andcomplimented with a more relaxed thinkerly expression on his face..
Hi. Even without going into details, you need to consider the overall values, shapes, hard and soft edges. While your shapes are close, please double check your negative shapes. These all have a huge bearing on the overall composition. Moving this to the Level Up forum so you can get more feedback. Thank you Black Spot, I am definitely seeing that I have a tremendous amount of learning to do. I didn't think to look at negative space at all, but will use them from here on out. Something that I noticed about this painting by Gerome is how he utilized bold uses of values for not just Emphasis but also his Continuity. I stole the method, of pointing out the different principles on top of the original painting, I saw from another LevelUp student, I tried to find his name but couldn't find his posts. Something I observed and enjoyed in this picture is the Continuity, in how the auctioneer is pointing towards hands, and the hands are reflecting you back up into the composition. I am starting to feel like I am choosing too ambitious of pieces for the 1 hour timeframe and may need to scale down on the number of people in a composition. Any thoughts? When setting up the piece, I zoomed out the picture to a wicked small size to see if I could mimic placement, sizes and value faster, but instead I seemed to have waste alot of time and had to do re-work for most of the time. Good to see that you're learning a lot in your observations, however, it might be time to focus more on the practical aspect and start painting and applying more. Try picking a piece you can work with and drawing it more than once: The first time for observation, the second and subsequent tries for replicating the piece using what you've learnt. Perhaps trying to observe the finer nuances of the piece is causing you to slow down with your work, though this is only speculation on my part. Good work so far though. I'd like to see you continue going at it. Okay, your figures are much larger or shorter than the study. This common, so don't stress out. 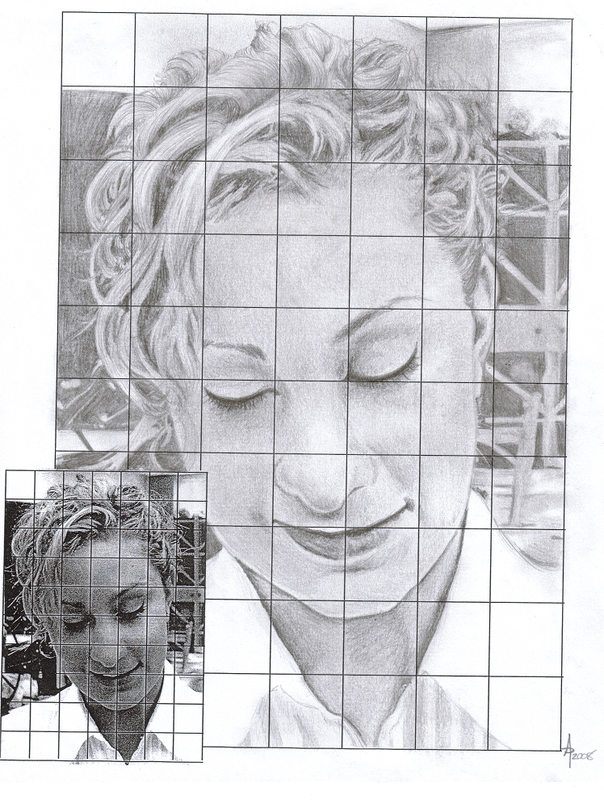 Try using a grid for a couple to get to grips with them and as you are not an advanced artist, take longer. Trust me most people do, when they realise what they can or can't do. We need to get your observational skills up. Keep it up and on to the next. You might want to choose an easier composition. Hi BlackCloud, good start! Others have mentioned the proportions and observation, so I won't do that again. But I will say that your second study is much closer than the first and third. This may be because it's a slightly more simple composition. In that one, though, except in the lion's face, you seem to use a similar texture brush throughout the piece. In the future maybe try to be more selective with the application of textures so that objects are more distinguished from their surroundings. In the third study you also switch between a hard and soft brush for different figures. This creates disunity and makes the study harder to read. If it helps, what I've begun doing is nearly all small to medium size soft brush for the first pass, then using a hard brush to define certain edges. Also, at the very start you might sketch an outline of the primary figures so you have a framework. I don't know if you already do this. Like Black Spot said, don't worry too much about time. I struggle with this every time and rarely get in under and hour. Wow, thank y'all so much for all the great crits. I wish I would have noticed these before working on one of the pieces again. I will certainly try the grid, and when playing with textures to be more careful with how and when I use different ones. I saw others had spent more than an hour on their pieces and felt that they may be getting more out of their studies by doing so, so I decided to go back to my first practice piece and really take my time to see what all is going on in the subtleties. Since I poured in 2 additional hours on a piece (Ghosts of Franc...) and didn't know proportions were so off; what I will do next is switch to the third painting, the Slave Auction by Gerome, Grid it, then start doing details as I was doing with the Ghosts piece. Last edited by BlackCloud; June 8th, 2015 at 05:54 PM. This rework was definitely more successful. The tones in the woman's body and the subtle lighting coming across now, though the skin in the original still looks comparatively rough. Texture will come later, though, I think. The cloth is looking more realistic as well. Continue to watch your proportions and go for this level of finish throughout the image on the next study. Ok great to see where you are at. As I have shared before, when you are first getting started it is very important to really focus in on the mapping out of your shapes as accurately as you can possibly get them. If you put a shape in the wrong place and commit you end up having the other shapes off and require fixing, which increases painting time. By taking just a few extra minutes early on to measure out your shapes, to compare your shapes, and be sure they are placed and drawn accurately will make the rest of the painting process, working out your values and edges, much much easier. Thank you DVNTH and Jason, I am struggling very hard with getting the shapes even when I use the grid system. I will keep at it and remembering to flip and rotate until I get better at this. This next piece is my 4th practice by Van Dyck. I was surprised at how he uses such subtle techniques of line, edges, and values throughout the composition to create emphasis of the eyes nose and mouth. So many times I found a single seemingly errant line had great impact on the overall composition. Massive improvement, well done. Yeah, the odd stray line can change everything. Keep it up. 5th practice, Norman Rockwell's Girl with a black eye. 4 hours. I focused on the various forms of creating emphasis on this one from deep values on the girl and muted values on the administration, the use of hard lines from the file cabinet to shoot your eye to the principals office (crap, just realized I didn't paint the word 'Principal') but then there is a really subtle line where are the principal's necktie points you right back at the girl again. I see you are investing more hours with each study and it reflex in the improvement on the results, you are certanly on the right path. Your mapping it's better and your use of values it's much closer to the original. you are getting so much better and getting a grasp of it. try to focus more on the edges. Thank you Motato, I am very glad I decided to just spend the time needed to feel like I am learning and applying at the same time. I am still having a rough time with edges, so I have been trying to pick pieces that have me explore soft and hard lines. 6th practice piece, Rembrandt self portrait. I chose this practice piece specifically because of the edge changes and values that vary dramatically in the economy portions of the piece and his face. I spent one hour on this. Used grid and found out his eye was placed low and inside. spent an additional 15 minutes fixing the eye, dark side of his face, and nose. Last edited by BlackCloud; June 15th, 2015 at 04:16 PM. One problem with my level of naivety/ignorance is that I am having trouble knowing which edges I have done incorrectly. If you Motato, or anyone else have the chance to point some out then I will go back to those pieces to fix them for practice. These are looking good, really love the Norman Rockwell study, it's nearly spot on. Only thing I'm noticing is that your darks aren't usually as bold as the originals. Other than that keep er going! Thank you Pandora's Pencil, I will make sure to add a few black/white boldness checks as I go along. I loved that Rockwell study, I'm going to do another of his because of how much I smiled and sometimes laughed at myself while recreating it. 7th practice piece for comp 1.1 assignment, Frazetta's Woman with a Scythe. 2 hours 30 minutes note: When I set the piece up I went a bit small and found that I had to zoom in one click multiple times to control my stylus. The eyes I had to zoom into to pixel level to get a small spec I though was important. There are so many great spots of rhythm in this piece from the wing in the far background's feathers which reapeat-ish in the spines of the reptile, or the drapery/hair/fiery background. The economy of the background makes it very easy for your eyes to relax and go back to the emphasis/foci being the 1) Woman 2)Lizard 3) Foreground rocks. The Continuity and implied line created form the scythe is one of my favorite parts since the line that is implied takes you right back to the woman. I had fun trying to reproduce the variety of human skin texture, to a hard glossy reptilian, to the hard rocks (I failed hard on the rocks, having massive issues with stone). Astounding improvement across 7 works! I really applaud your dedication to your study of each piece. Your strength lies in how you're aware of how each and every factor mentioned in the 1.1 video works to create a piece. You've captured the essence of the pieces well, especially in your last 3 studies. But that can be a temptation to get off-track slightly to perfect certain areas. It can stifle Economy a little. Your oritentation to detail is a boon, but has to be kept within a certain bounds to be useful to your process. I appreciate the tip NerrawG, thank you, I think that will help me on time as well. your shapes are in the mayority right place, and the values are very close. I think now you can focuse more on edges and adding more texture to your studies. This is impressive BlackCloud! I agree with motato, getting some more edge transitions and textures in there will help push these to the next level. On another note it's really cool to see how you are much more comfortable and confident with each study. They may be taking a while but each one is an improvement over the last. Good job!